More than a guide to establishing a proposal system, this volume presents methods for teaching know-how. 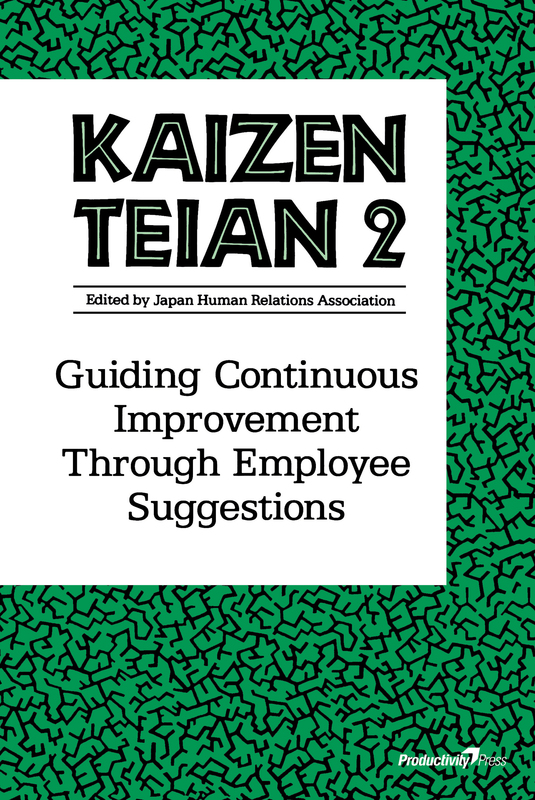 It gives each reader the principles for thinking creatively about improving his or her own work.This highly practical book is filled with easily understood explanations and examples of how to teach your employees to pursue excellence through kaizen teian.Before you can institute a successful kaizen teian program, you must have a firm understanding of its underlying principles and rules. This book concentrates on making those principles clear and focuses on the importance of consistently implementing proposals. Actual examples of implemented proposals from five leading Japanese companies illustrate the principles described, and numerous figures and case studies add clarity throughout. If you are ready to tap into the full potential of your work force, this book will help you to train them to seek out new and ever better ways to do their work.